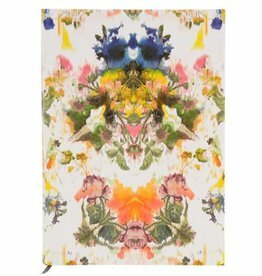 This striking Virgin Lay Flat notebook is part of the Christian Lacroix Papier collection and is adorned with illustrations by the haute couture designer. The front-and back-cover feature multicoloured collage designs and there are six end pages covered in the Paseo pattern, as extravagant & opulent as the designer himself. Lay flat construction makes it easy to write on any surface, and this pretty notebook also features a personal title page and black & white chevron stripe place keeping ribbon. 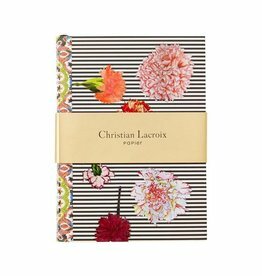 A beautiful gift idea for any occasion this notebook also features the Christian Lacroix logo hot stamped on the back cover. 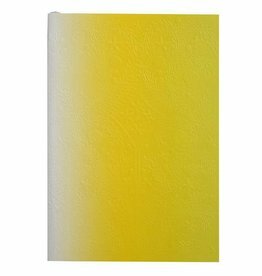 Write down all your fresh ideas or just what you need from the supermarket in this special neon yellow notebook from Christian Lacroix. Also very nice to put this notebook as decoration on the dinner table or as a gift for your friend! Write down fresh idea's or just what you need from the supermarket in a notebook from this Christian Lacroix set. This notebook set is also very nice t use it as decoration on the dinner table or your desk! The perfect wedding album for a dreamy wedding or let anyone who visits take a polaroid and put it in the album. This album from Christian Lacroix will give you so much joy just by looking at it with all the butterflies!